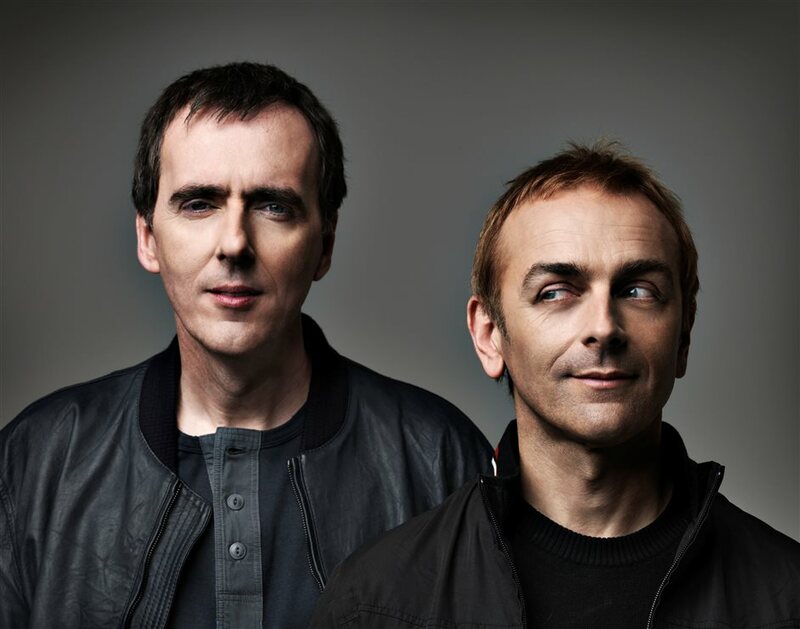 Following the huge success of the 20th anniversary performance of their dubnobasswithmyheadman album at Royal Festival Hall two years ago, ambient dance duo Underworld return to London to play two very special live dates at the Roundhouse on Thursday 24th March and Friday 25th March 2016. dubnobasswithmyheadman was hailed as a game changer on release at the start of 1994. Over two decades on, it is unarguably one of the most influential British electronic records. But the Cardiff-formed twosome of Karl Hyde and Rick Smith are not resting on their laurels. They're releasing their seventh studio album, Barbara Barbara, we face a shining future, just before these gigs, on 18th March 2016. Expect bass notes crunching over relentless percussion and voices that warp into harmonic riffs - music you can dance to and which points to Underworld creatively reborn. Find out the best London 2016 events with our comprehensive guide to the top entertainment in the city throughout the year. From January through to December, 2016 is packed with unmissable events - so read on to get the best out of London town. What are the best dining options near Underworld London? Underworld gyms, sporting activities, health & beauty and fitness. The best pubs near London Underworld. Underworld clubs, bars, cabaret nights, casinos and interesting nightlife. Where to have your meeting, conference, exhibition, private dining or training course near Underworld. The virtuoso Mexican guitar playing duo, who moved to Ireland in 1999, performs rock and world-influenced percussive numbers. The Liverpool quartet, which formed in 2013, play their indie-rock originals from their latest album, What's It Like Over There? The legendary collective, hailing from Birmingham, performs their hit singles from across their career which spans five decades as they celebrate their 40th anniversary. The singer from Manchester, who is now based in London, performs his self-penned pop material. The Pink Floyd drummer, accompanied by Gary Kemp, Guy Pratt, Lee Harris and Dom Beken, performs songs from two of the band's earliest albums, The Piper At The Gates Of Dawn and A Saucerful Of Secrets. The rapper and MC from London, aka Ben Coyle-Larner, performs emotive hip hop. A multidisciplinary performance exploring contemporary queer ritual which harks back to the ancient deity of Dionysus, also known as The Roarer, The Liberator and The God Who Comes. The Japanese rock quartet promotes its ninth studio album, Eye Of The Storm. Mexico's iconic masked superheroes and legends return to the UK in a flamboyant display of fighting. A co-headlining showcase performance from the 2018/19 Roundhouse Resident Artists. From cheap budget accommodation to luxury 5 star hotels see our special offers for Roundhouse hotels, including ibis London Euston St Pancras from 0% off.